Aman Kiara, as the name suggests, carries with it the air of tranquility and security. 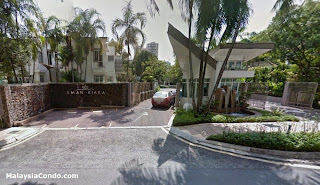 Located on six acres of prime land in the exclusive enclave of Mont'Kiara, it is the first development within the vicinity that offers a blend of delightfully designed bungalows and duplex condo villas. In a unique approach to live up to its name, Aman Kiara in a nutshell, is a gated-and-guarded development that offers top security to its owners, hence providing them with great peace of mind. With just 19 units of bungalows and 12 units of condo villas, Aman Kiara is one of the lowest density developments in the neighborhood. Large built-up areas, elegantly designed facades, private lifts to the upper unit of the condovillas, a common clubhouse, lush greenery and landscaping are some of the features that make Aman Kiara a sanctuary for a selected few. 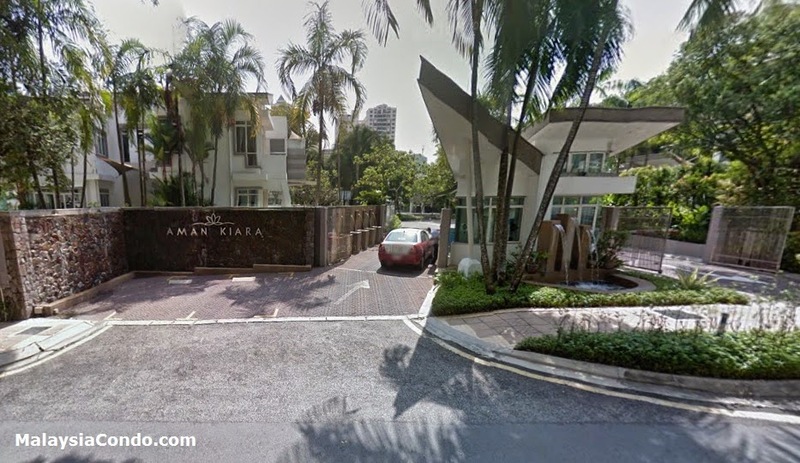 The development also boasts a strata bungalow concept which was introduced into Aman Kiara with the sole objective of giving the project support even after all the units are sold. Support in terms of ensuring that the external designs of all the bungalows and condo villas are kept consistent so as to blend in with the theme and natural habitat conceived for the project. Owners are greeted at the front entrance with a dazzling water feature that lines the front perimeter fencing of the development. And as they get towards their units, other prominent water features, punctuate the development, especially in junction areas. The water features are specially designed, incorporating a good mix of greenery and trees to give the entire development an atmosphere that is next to nature. Built-up Area : 3,690 sq.ft. - 5,410 sq.ft.